Sorry if this thread already exists but I couldn't find one. What was your first bike? I didn't own a Honda until I got the CB175 a couple years ago. 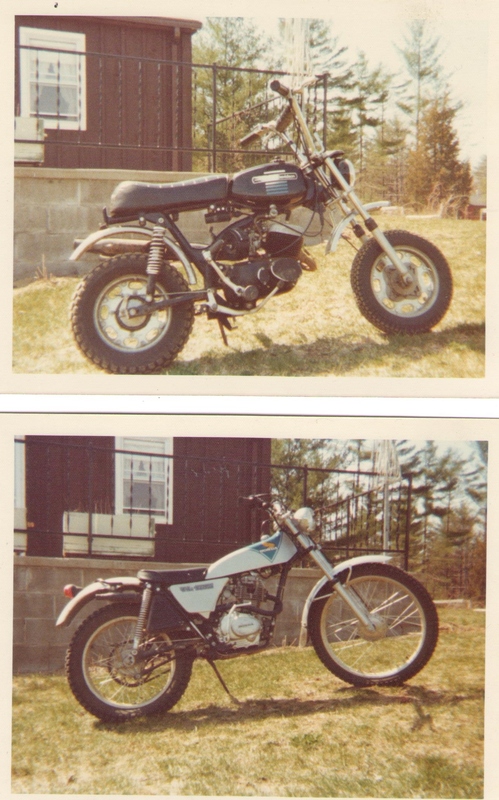 My first four motorcycles were all Yamahas, starting with this '73 LT 100 with the awesome purple metalflake tank. Even my mom liked it! Second bike: '75 MX 125B. Painted the frame red. Trickit fork extension (increased travel) which made the brace mandatory. Laid down Work Performance shocks which required cutting and re-routing the pipe (louder and meaner sound with better revs). Big fat Metzler out back. All in all a great woods bike. The bottom end was basically the same as the DT models and had a hefty flywheel which gave it a lot of low end pulling power. Should of kept it. Sold it to a kid who couldn't afford a YZ so he painted it yellow and black. Uhhhg. Last edited by Russ Lang; 03-14-2019 at 12:19 PM. ancientdad, oupa, Russ Lang and 1 others like this. Mine was a 1980 CB750K that I bought in '92. It was my daily rider all through college. I still have it, though it hasn't been ridden in almost 20 years. It's on the project list. 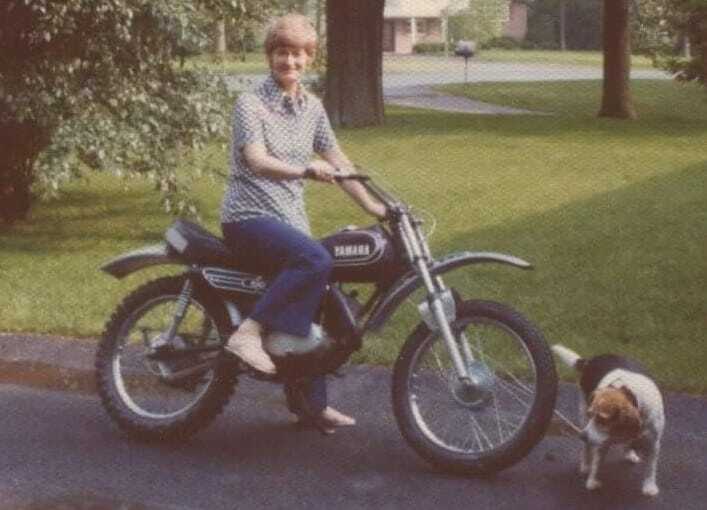 My very first bike was an emerald green CT70 about 1971. 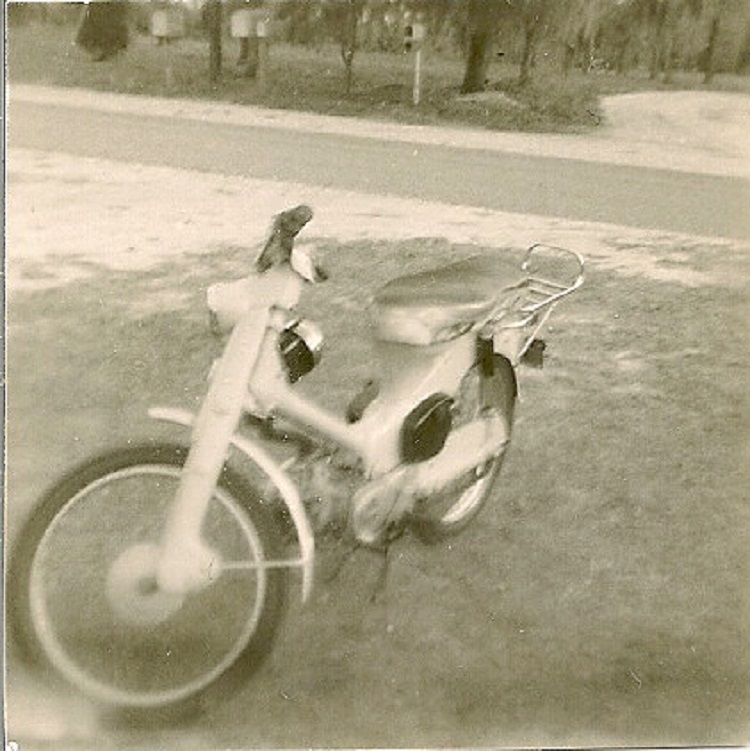 I bought my first "street bike" in 1975 when I was 16. 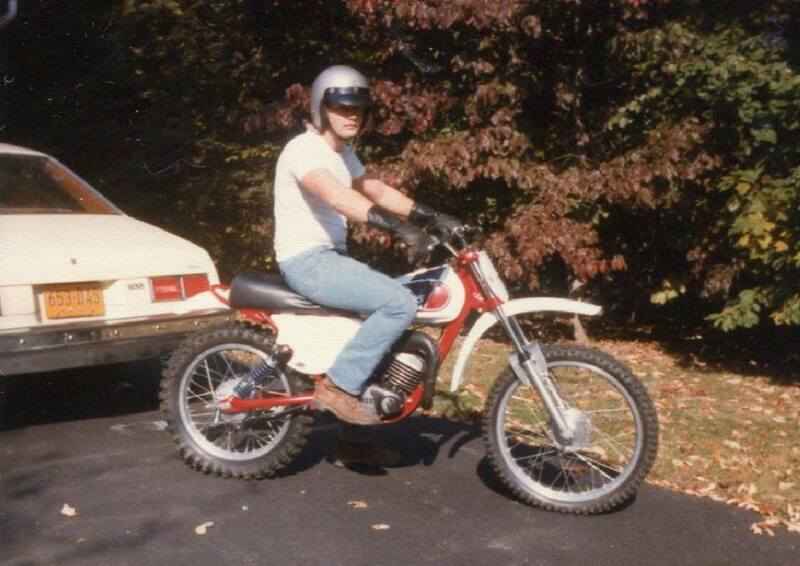 My best friend and I left school at the beginning of 2nd period and went to the local Honda dealer where I bought a 74 XL350 for cash earned working part-time at the local hardware store. We were back in time for 4th period and our 3rd period English teacher never noticed our absence. In retrospect, she probably appreciated it! I was pretty hard on both those bikes. It was the peak of Evel Knievel's career and that little CT spent more time in the air than it should have. It was also the bike I learned to slide on, down in the creek bottom field one Saturday afternoon after watching highlights of the Springfield Mile on "The Wide, Wide World of Sports." The XL is responsible for actually making me a motorcycle guy though. It's dual sport capability probably endearing the sport to me more than any strictly street bike could have at that stage. It was also that which got me into more trouble than advisable. Good times indeed. Thanks for making me think about that today! Russ Lang, 83XLX, Scramblr and 1 others like this. I traded a complete "as found but running" Z-90, to an Aermacchi specialist last summer in exchange for his fine tuning my SX 250. Among other things he replaced the crank, crank bearings & seals, and a bunch of other lesser work. It's now ready for the track and waiting on spring! Russ Lang and TOOLS1 like this. there seems to be a harley component here so i'll jump in. Last edited by Paul F; 02-19-2019 at 01:22 PM. Russ Lang, oupa and Alan F. like this. First bike was a BSA Bantam, first bike that actually ran was a 1960 Maico 250. First new one was a 1966 CL160. Russ Lang and ancientdad like this. Last edited by budlite282; 02-19-2019 at 03:38 PM.